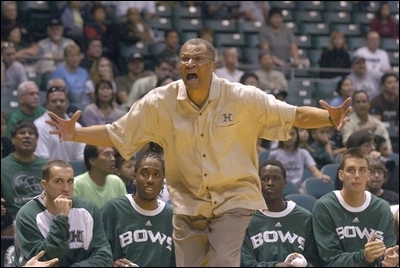 University of Hawai’i basketball fans are definitely mad at the skills of this year’s team. They are currently 9-18 overall, and 2-11 in conference play. We have bros who can’t dribble, a player from Lithuania who gets technicals for temper tantrums, a 7 ft. player from China with arthritis, and a prima donna who wears gold colored sneakers. Our best shooter was “suspended indefinitely” (he quit,) and our 2nd best shooter is out for the year with a hernia. You can’t make this stuff up! Needless to say, we are in last place. But let’s not be negative here. This is the scenario…. If we beat Boise in the last game of the season, we qualify for the WAC Tournament. If we win 5 games in a row, we make it to the “Big Dance,” the NCAA Tournament. If we then win 4 in a row, we’re in the Final Four! That’s right! If we win only 11 games in a row, we’re national champs, baby! No be mad. Still get chance…. A Day in the Life of a Tsunami….